Dekton employs exclusive Sinterized Particle Technology, ahigh tech process which represents an accelerated version of the metamorphic change that natural stone undergoes when subjected to high temperatures and pressure over thousands of years. DEKTON is a long-term product for those looking to turn their kitchen into a unique space. It allows greater potential for installation in one piece with no cuts, no joints and no limits. It has the appeal of a completely uniform surface, which fits seamlessly intovery different design styles. 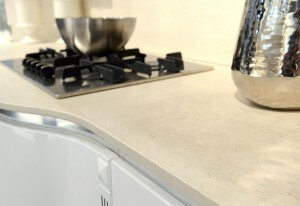 For more information on Dekton countertops, contact us today!